This December/January our travels took us from Chengdu in Southwest China 1630km across the country to Shanghai in the East. We achieved this by travelling by China's High Speed Rail network which spans 28 of the 33 provinces and travels at an average speed of 200km/hr. We were the usual brood - two seventy-somethings, two forty-somethings and two teenagers, along with our very flamboyant Chinese interpreter and friend Sissi from Shanghai's BG Interpreters. Visas: Prior to arriving in China, you will need to visit your local Chinese consulate and obtain a visa. These can also be done online. As part of the application you will be required to show hotel confirmations, so be sure to have booked a place to stay before applying. Vaccinations: Check with your GP for the recommended vaccinations and make sure you have them at least a month prior to departure. Chinese Gov. Controls: The Chinese Government have strict controls/firewalls on internet connections. If you rely on certain applications ie: Google Search, Facebook, Google Drive, Instagram, Maps, Gmail or if you have a Google phone, these won't work in China unless you have a VPN (Virtual Private Network). We learned the hard way, as although we hired a mobile hotspot wifi for the duration of our stay, we didn't unlock the VPN (which needs to be done outside China) so we were unable to access any emails. Fortunately, we could access the internet via Yahoo and Baidu, however if you rely on the cloud to access confirmations and itineraries, then make sure you print a hardcopy! Don't rely on the hotels wifi or business centre for access either. My husband had previously travelled with our interpreter Sissi on business, so we were very grateful when Sissi agreed to accompany us on our family adventure. Prior to our arrival Sissi organised all our airport/railway transfers, car hire and deposits, restaurant bookings and made numerous phone calls on our behalf. The majority of people in China don't speak any English, so catching taxi's, ordering food or buying tickets can be a very frustrating game of charades. We even found that some taxi drivers had no idea where the hotels were or could comprehend the hotel business cards written in Chinese! Our experience with taxi drivers didn't differ between Chengdu and Shanghai. Car & driver hire: An 11 seater van and driver averaged around AUD $200-$300 per day depending on the rental time and distance you travel. This included all tolls, parking and lunch for the driver. None of our drivers spoke any English so Sissi proved invaluable when we needed to contact the driver to collect us or if we had a change of plan. I also had all the names and addresses of the destinations on our itinerary written in Chinese. Most of these I was able to copy and paste from Tripadvisor. HSR Tickets: High Speed Rail tickets can be booked online via C-trip. Tickets can be booked a maximum of 60 days prior to travel and can be delivered to your hotel, however someone must be there to sign for them. Alternatively, you can book online and collect your ticket at the train station. We collected the tickets for all our train trips the afternoon prior to our first departure. We queued for at least 40 minutes and then waited another 40 minutes for the tickets to be issued. The trains don't wait for anyone, so make sure you are at the station with time to spare as not only do you go through a security and passport check, your platform could be a 200m (or more) walk from the security point. Note: High Speed Trains are G, D or C trains. Each of these have different types of seats. 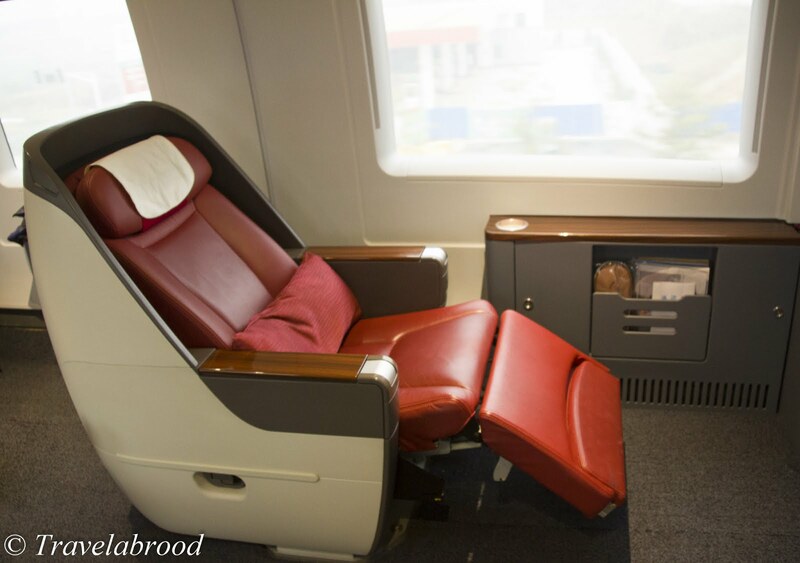 G trains and some D trains have Business Class seats. Chengdu is the capital of the Sichuan Province. 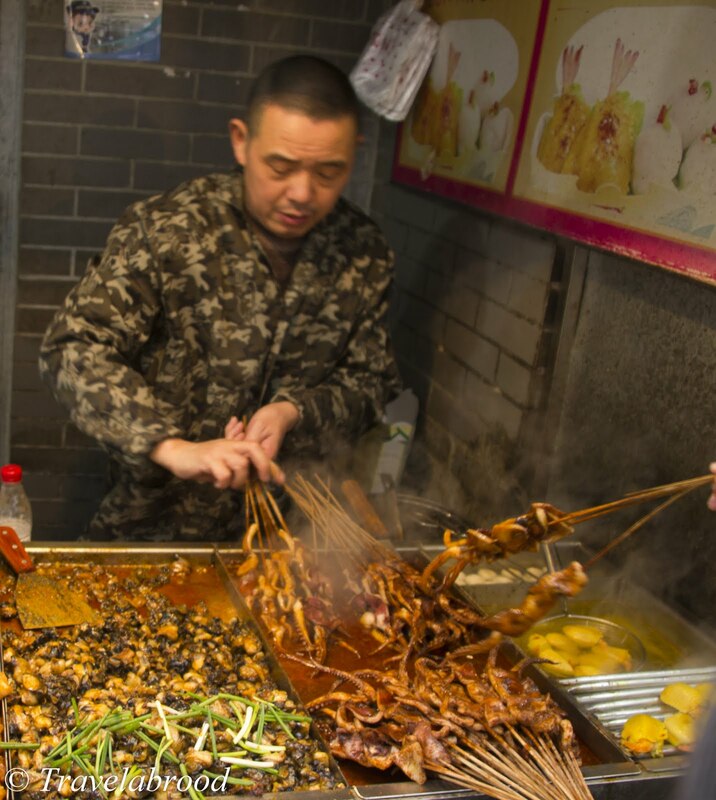 Home of traditional spicy sichuan hotpot, giant Pandas and brocade, the city has grown quickly to accommodate the influx of visitors arriving via air and rail. 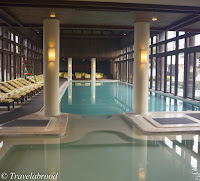 In Chengdu we chose to stay at the Sofitel Chengdu Taihe through Booking.com. Winter in China is usually dry, foggy and moderately polluted with fewer hours of sunlight. At 7.00am music started playing outside like an alarm clock to wake the city up. The day was still just coming to light at 8.00am when we joined for breakfast. 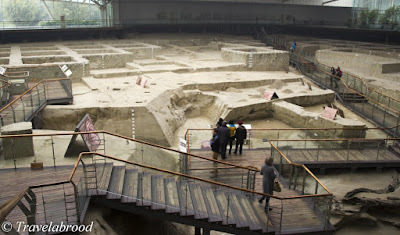 Day one of our adventure had us collected from the hotel around 9.30am and taken to the Jinsha Site Museum. This archeological site was discovered in 2001. 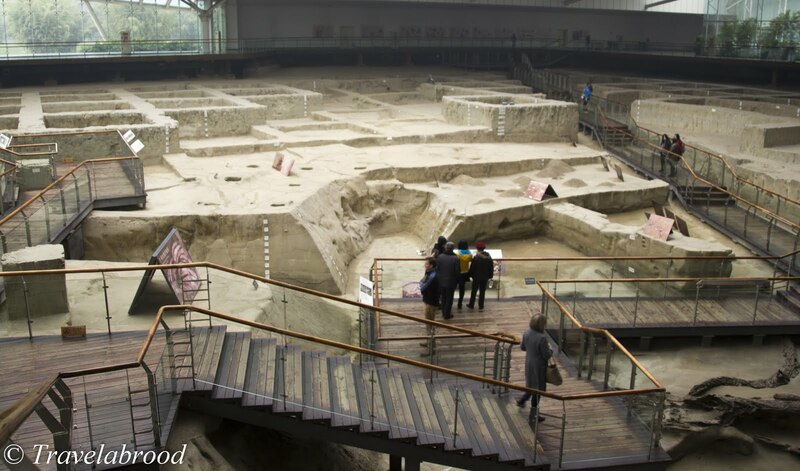 Dating back to the Shu Kingdom it is a huge discovery for the city and gives a lot of explanation as to the sudden disappearance of the bronze age Sanxingdui culture. The main gate to the museum is the South Entrance, however the Exhibition Hall at the North Entrance showcases the variety of artifacts that have been unearthed. Viewing all the gold, ivory, jade, pottery etc. and reading about the history of the people and culture before moving to the Relics Hall puts the burial site, residential site and palace foundations into perspective. The gardens are also particularly lovely to wander through. Note: Be sure to take ID with you when visiting museums in China. Entry is free for those over 70 and teenagers under 16 are concession. Don't put your passport away too quickly however, as although the ticket office have issued you a ticket, you will need to show your ID again and again and again at any guarded door or gate. 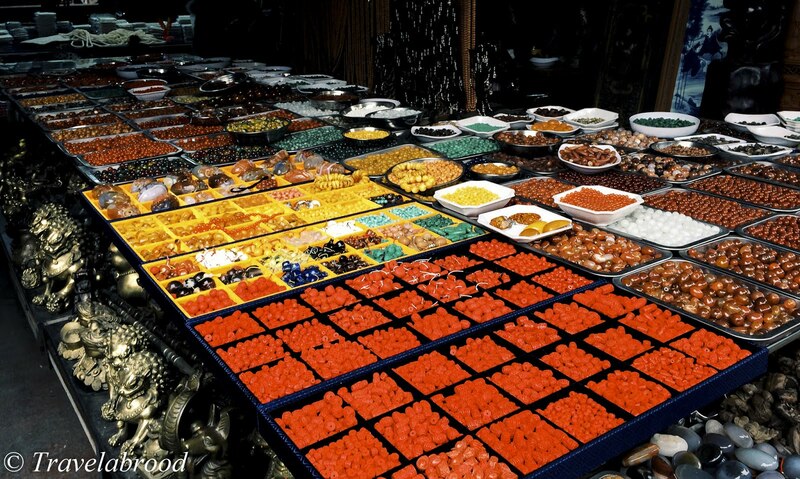 The Song Xian Qiao Antique Markets are the second largest in Chengdu and a good place to shop for souvenirs. Located near the Du Fu Thatched Cottage and Wu Hou Temple, it is best to visit late morning when it really gets into full swing. This is also a great place to practise your bargaining skills. It is also a nice place to stop for a bite to eat overlooking the river. Chengdu was not only the birthplace of the first widely used paper money, it was also the origin and major production base of Chinese Silk which was traded along the famous Silk Road. The Chengdu Shu Brocade & Embroidery Museum gives you an amazing insight into the history of Chengdu, silk production and the different types of brocade. Even if you aren't interested in embroidery, try not to miss this museum. 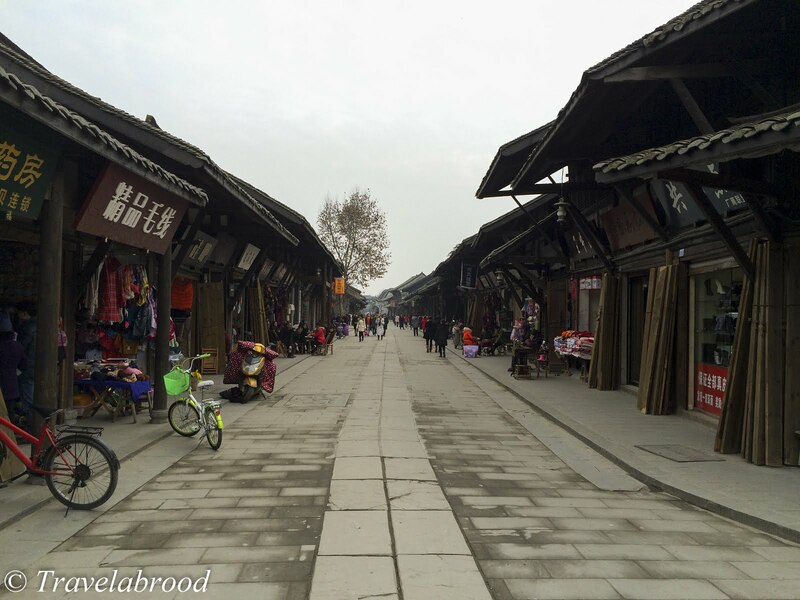 Jinli Old Street is a great way to end a cultural day. It buzzes with locals, tourists and foodies dining out at the food stalls. It is one of the oldest streets in the province and showcases the architectural style of the residences in western Sichuan Province. 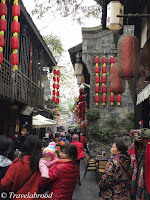 Other famous streets to visit in Chengdu are Kuan and Zhai Xiangzi (Wide and Narrow Alley). Both are close to the People's Park which houses traditional teahouses and is a nice place to people watch. 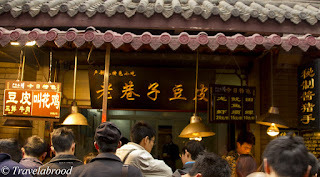 Yu Zhi Lan Restaurant is a must in Chengdu. Located at No. 24 Changfa Street, Qingyang District Ph: 028 6249 1966 email: 1600567582@qq.com. Make sure you book in advance for this gastronomic degustation. 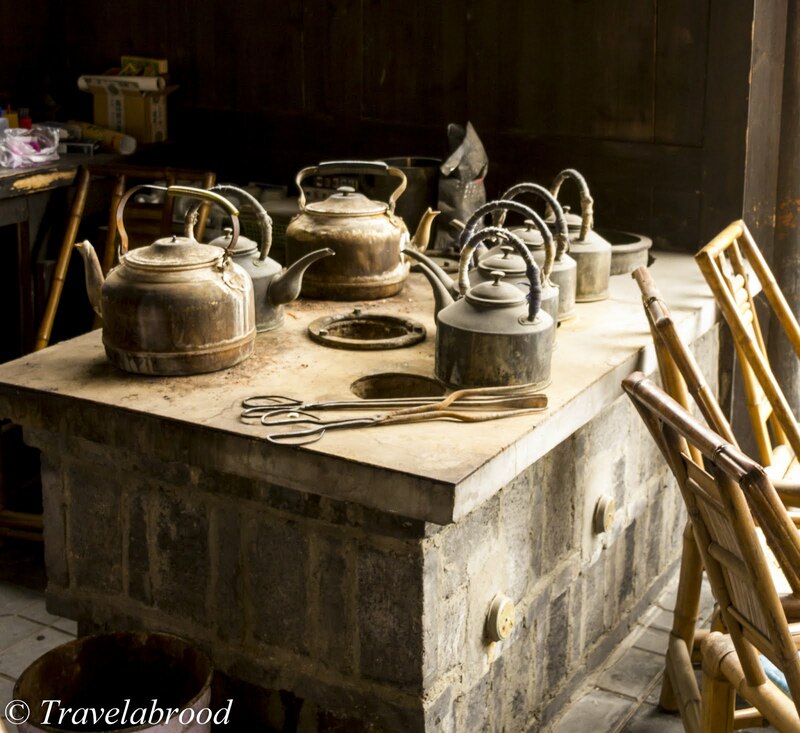 The set menu is from RMB 600 per person and includes tea. A wine list is available on request. 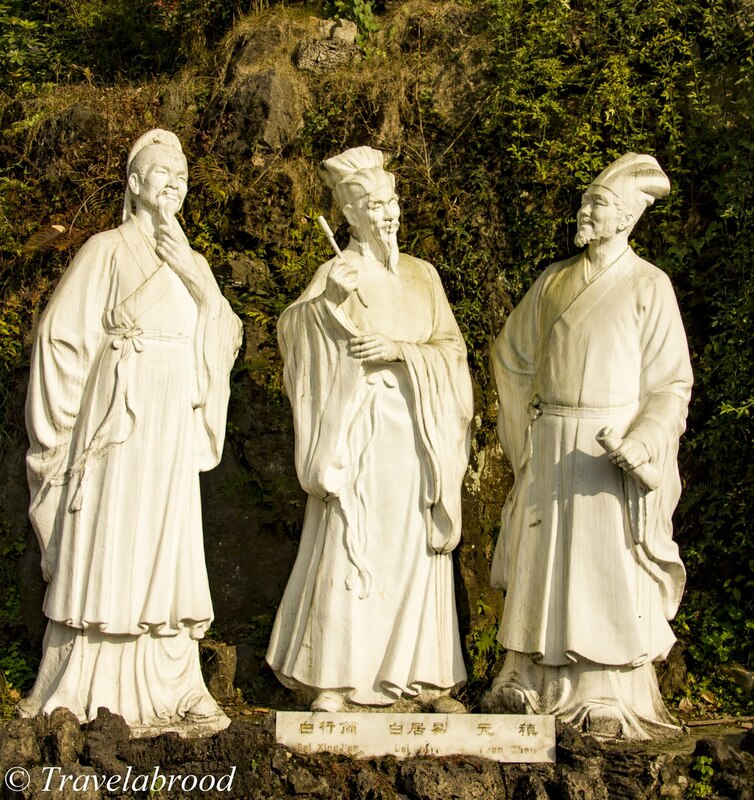 Mount Qingcheng is about an hour and a half drive west of Chengdu. 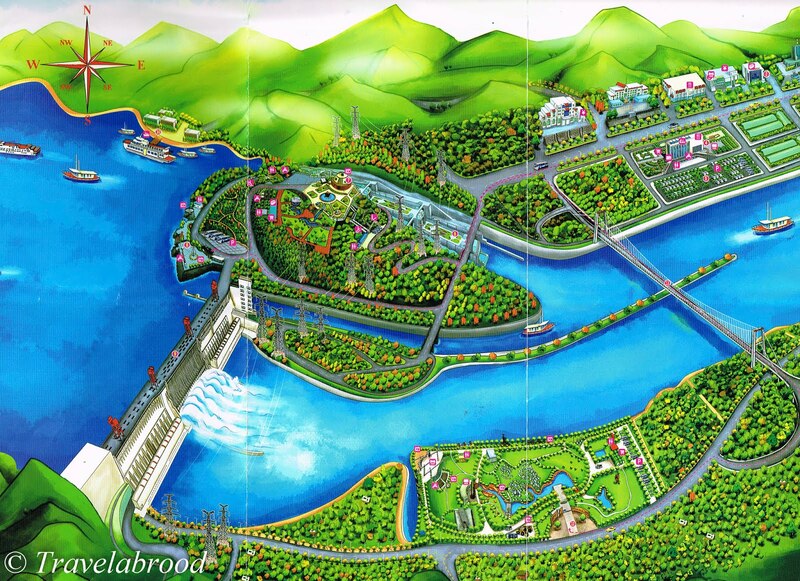 Located here you will find the Dujiangyan Irrigation System which dates back to 256 BC and Panda Valley. 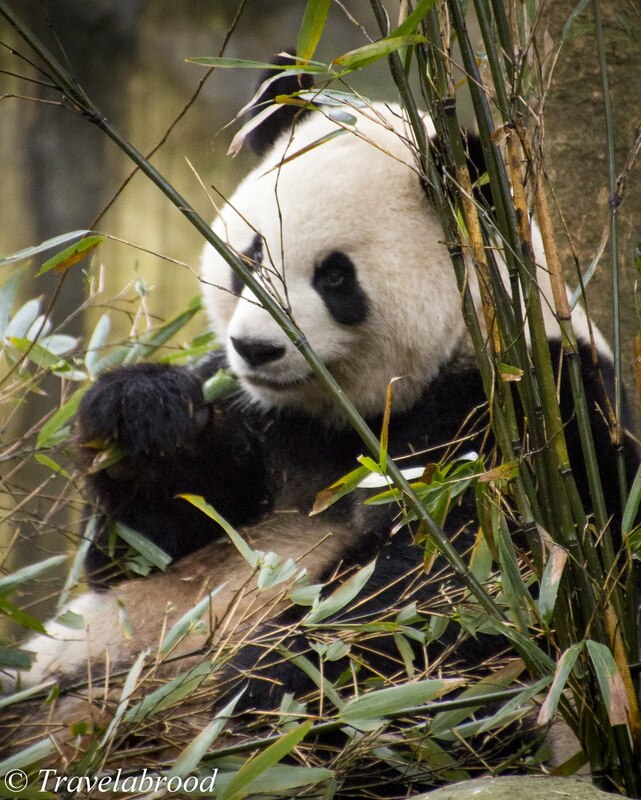 Panda Valley is one of China's best kept secrets and tours of the Giant Panda base can be organised via the Six Senses Mount Qingcheng Resort. (Panda Valley is not to be mistaken with the Chengdu Panda Research base located in Chengdu.) There are only around 20 or so Panda's housed at Panda Valley and on the day we toured we had the whole park to ourselves. It was an absolute treat to be able to watch these amazing creatures in a natural environment and learn from our very knowledgeable guide Olaf, from Six Senses Resort, all about the research, rehabilitation and conservation program, the history of the Panda and general information. After our visit with the Panda's, we headed to Six Senses where we had a very nice lunch at the F2F Restaurant after a tour of the recently opened resort. 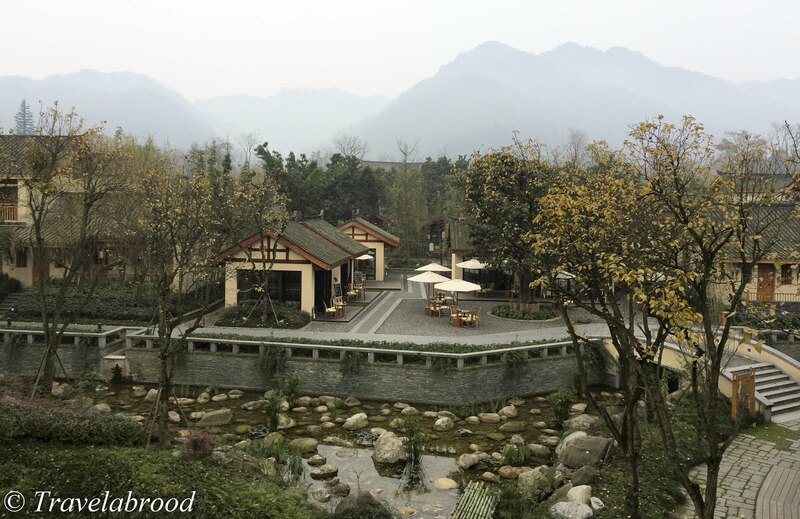 With magnificent views of Mount Qingcheng, a fabulous spa, pool and organic garden, we suddenly wished we had booked to stay a night or two. 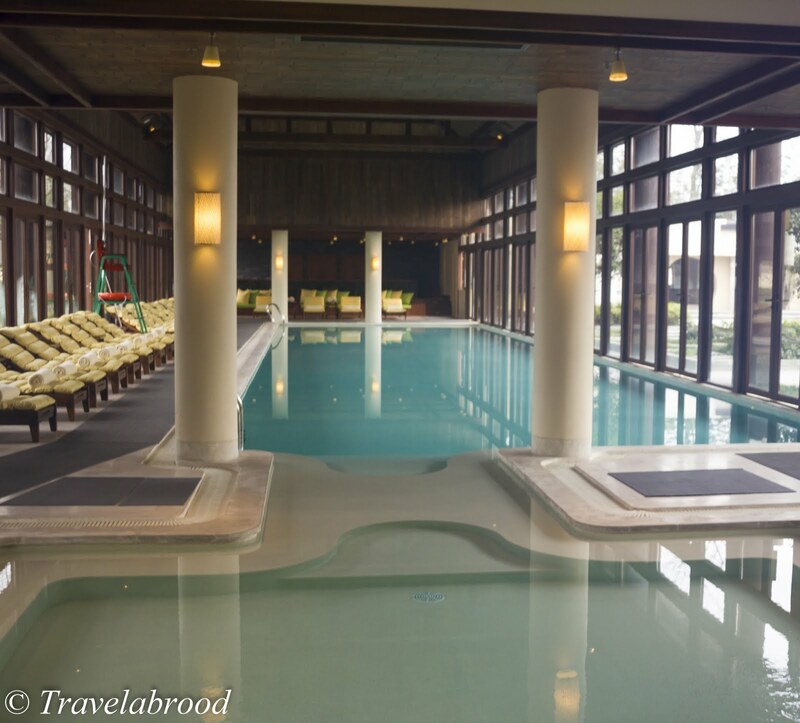 Six Senses also offers tours of the Dujiangyan Irrigation System, Mount Qingcheng and the history of Taoism. 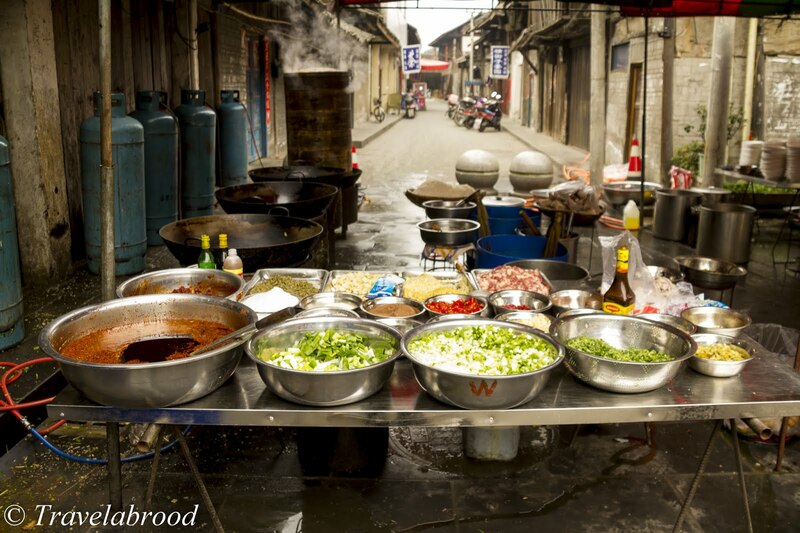 Mapo Tofu is one of Chengdu's traditional dishes and comes highly recommended. Unfortunately, after our huge day out we didn't make our booking and instead had a very nice japanese dinner at Fuji Restaurant located on the second floor of the Sofitel Chengdu Taihe. 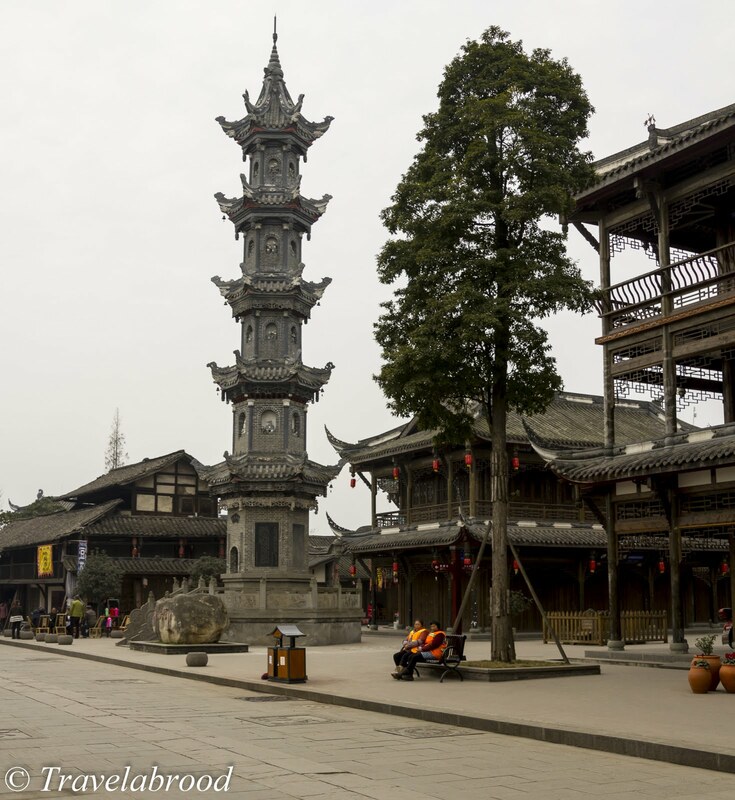 Sichuan province is home to a dozen historical towns, so we took the opportunity to visit Yuantong on return to Chengdu from Mount Qingcheng. 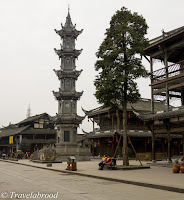 Yuantong is about 40km from Chengdu and has a history of more than 1,600 years. Along the river, rich traders built their shops, warehouses and homes which can still be seen today. We arrived in Yichang mid-afternoon so took the opportunity to visit the Chinese Sturgeon Museum. Producers of the increasing popular chinese caviar, the sturgeon's habitat and migratory patterns were interrupted by the construction of the Yangtze River Dam. 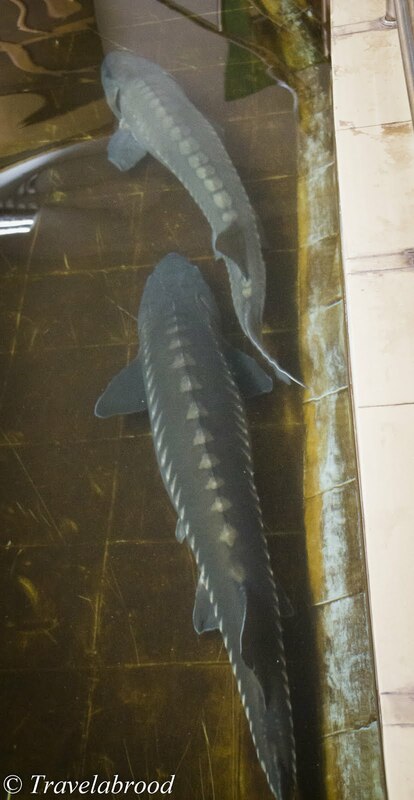 Now a state-protected animal, the conservatory institution houses various species of sturgeon and other marine life found in the Yangtze. 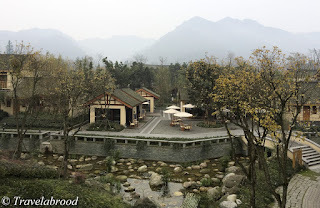 In Yichang, we chose to stay at the Crown Plaza. On our first night we had a very nice dinner at the hotel Teppanyaki Restaurant on the 2nd floor. 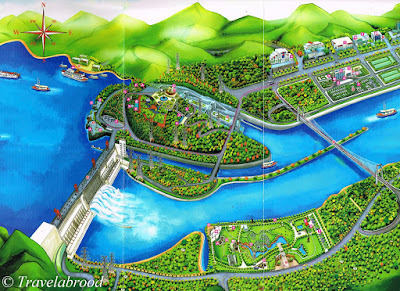 Yichang is the second largest city in Hubei province and the Three Gorges Dam is its number one attraction. 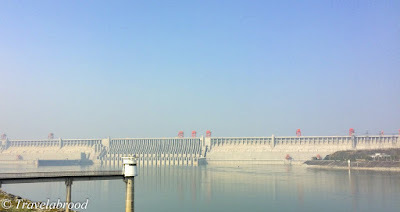 Spanning the Yangtze River at Sandouping around an hours drive from downtown Yichang, the Three Gorges Dam is the world's largest hydropower project. Visitors to the dam are bused from the visitor reception centre to the scenic area. Where you can view the two-way five-step ship lock. 185 Platform is located on the left bank where you can get a birds-eye view of the whole dam. Across the bridge is the Memorial Park where you can see the lower side of the dam wall. 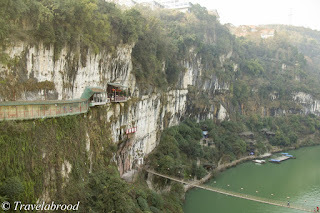 Xiling Gorge is the longest of the Three Gorges and has some of the best cave scenery in the area. Sanyou Cave and is named after Three Tang Dynasty poets and officials. The stairs down to the cave are quite steep, so only go if you know you can get back up the stairs! Lunch or dinner at Fangweng Hanging Restaurant is not to be missed. 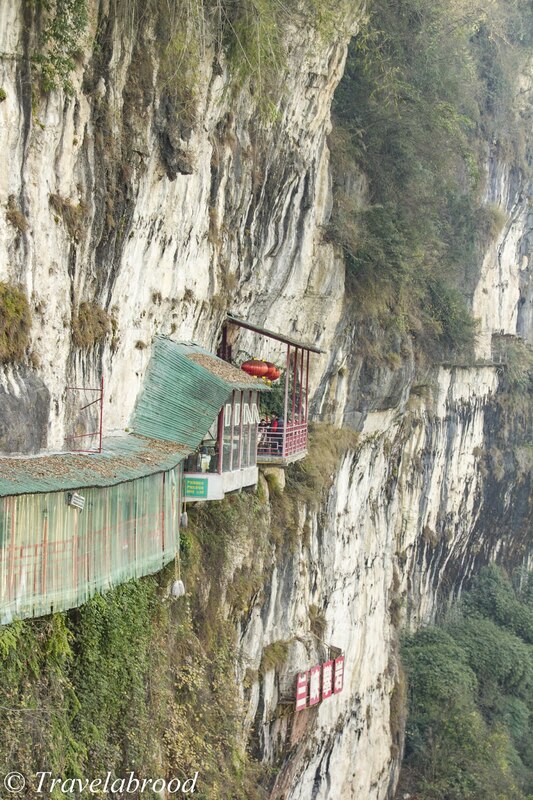 The main part of the restaurant is in a cave, however balconies protrude the cave with a couple of tables on each. 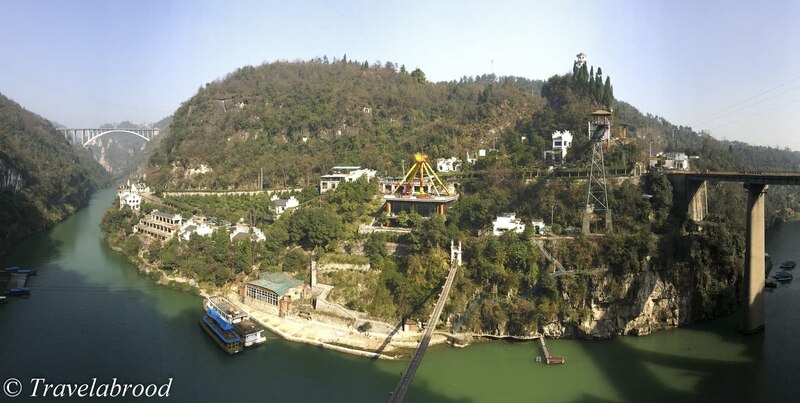 Make sure you book and request a window or outdoor table as the views of Xiling Gorge are amazing. We had one of our best meals at Fangweng whilst we watched bungy jumpers bravely throwing themselves off a platform on the opposite side of the gorge. Wuhan is the capital of Hubei Province and was just a lunch stop as we had to change trains to Nanjing. With a couple of hours to kill, we visited Hubu Alley. It was New Years Day when we visited, so the famous food street was full of visitors and the food didn't disappoint. Everything from poultry, seafood and dumplings were on offer. After fighting the crowds, we found a quite table and tucked into freshly made dumplings. Originally known as Nanking - Southern Capital, Nanjing is one the Four Great Ancient Capitals of China and boasts an extensive history. In Nanjing we stayed at the InterContinental which is the largest skyscraper in the city at 88 levels. It can't be missed, however taxi drivers did struggle with the name and location card distributed by the hotel! The best place to start your visit to Nanjing is at the Nanjing Massacre Museum where you learn how over a six week period from December 1937 - January 1938, the Japanese rapped and murdered 300,000 civilian Chinese people. 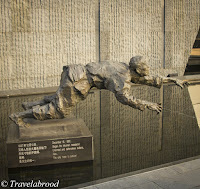 It also tells the history of Nanjing and the layout of the city along with a moving tribute to those who fought and lost. It a definite must do! People start queuing to visit the memorial from 8.00am for the 8.30am opening. I suggest you get there early as once the tourist buses arrive the queues become very long. Nanjing is a very pretty city with wide roads and plenty of open space. It has a young student population. Nanjing University is one of the oldest in China. It is a really picturesque place to visit with avenues of trees and old buildings still in use today. The markets and food streets near Nanying Yanging alley on the Shanghai Lu side of the university are also a great place to wander. The Confucius Temple and Fuzi Miao Scenic area is popular with tourists and boast good food stalls. From here we also visited the Ruins of the Ming Dynasty Palace. Seleccion Espanola was a nice change to Chinese food. Owned and operated by two young Spanish backpackers who decided to "give it a go", the restaurant is small and simply furnished. The food (cured meats, pincho's and paella) and atmosphere was very good and although the service was a little slow, there were a couple of reds on the wine list we were happy to try, so the wait time was well spent. Zheng He was an explorer in 1405 and made 7 voyages around Asia and Africa on huge treasure ships built in Nanjing. 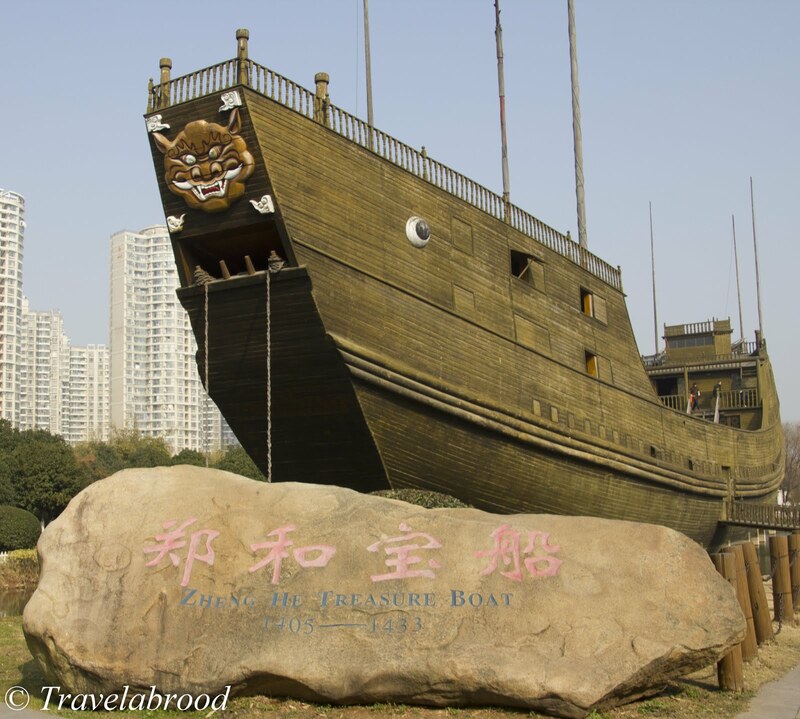 Today the Zheng He Treasure Ship Park has a replica ship and information regarding the designs, building and voyages. 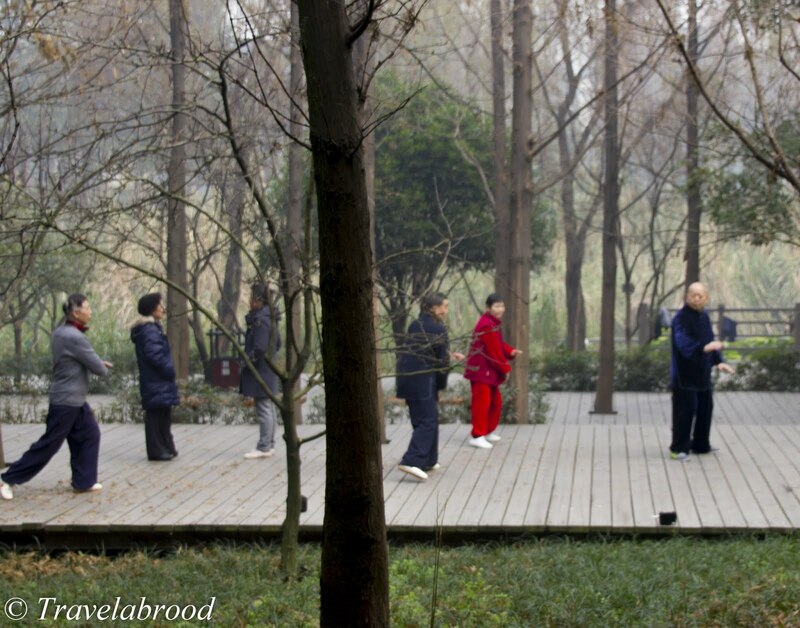 The park is another example of Nanjing's peaceful open spaces. 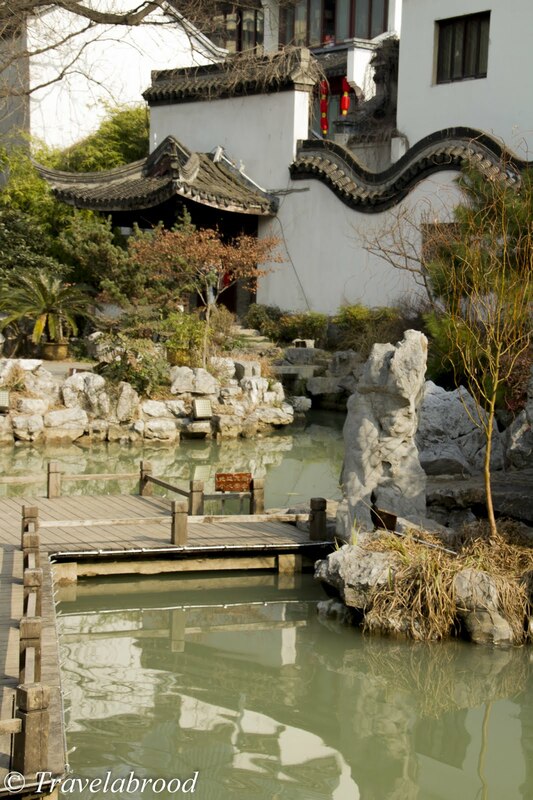 Gan's Grand Courtyard is a large, once private, residence located in central Nanjing. Gan was an ambassador educated in England and France in 1866 and he and his family lived in the residence. You can wander through the impressive gardens and courtyards and get a feel for how the family lived. Some of the rooms have been left set up as living, bedroom and kitchen, while the residence is now mostly used for cultural classes. If you are looking for a fun, noisy, traditional meal go no further than Nanjing Impressions. Set up as a tea house with waiters in traditional dress and live cultural entertainment, the food was delicious. We visited the Nanjing Impressions at Deji Plaza, Nanjing. 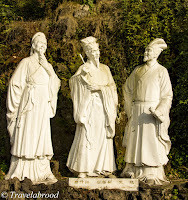 We really enjoyed visiting Nanjing and would love to return and visit the Zhong Mountain Scenic Area, Xuanwu Lake Park and the Yuejiang Tower Scenic Area which apparently has a beautiful temple, however is no where near as touristy or busy as the Confucius Temple. Shanghai at last and the end our train travels. We had been so lucky with the weather our whole journey, however on arriving in Shanghai it was rainy and cold. 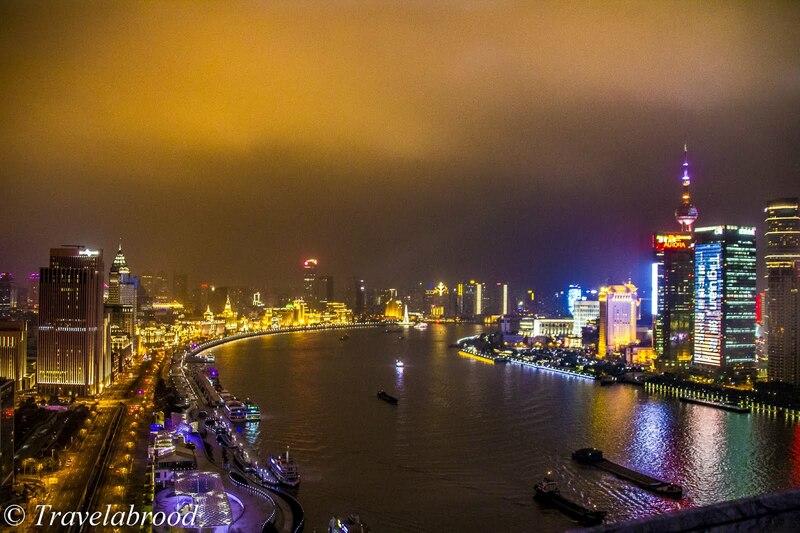 For the first couple of nights we stayed on the Puxi side (west) of the Bund at the Hotel Indigo on the Bund. Puxi is the cultural, residential and commercial centre of Shanghai and Hotel Indigo is conveniently located on Zhongshan Rd close to the Yu Gardens. Char Restaurant located at Hotel Indigo boasts 360° views and great steaks. 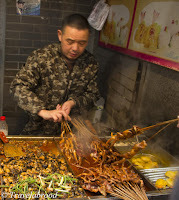 The food throughout China was fantastic, however the diversity and quality of the food in Shanghai was second to none. Some of the top named chefs have opened restaurants in Shanghai so it is fast becoming a food mecca. Napa Wine Bar on the Bund is a fine dining experience. We chose to leave the children behind and enjoy an "adult" meal that didn't disappoint. 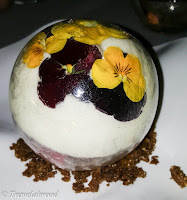 The food and wine was exceptional and before dessert we were given a tour of the extensive cellar which cellars wines for the restaurant and private clients. Located in the same building, again with excellent food and views is El Willy. This Spanish tapas bar is a great place to stop for a quick bite, a drink or longer meal. Be sure to book as it gets very busy! 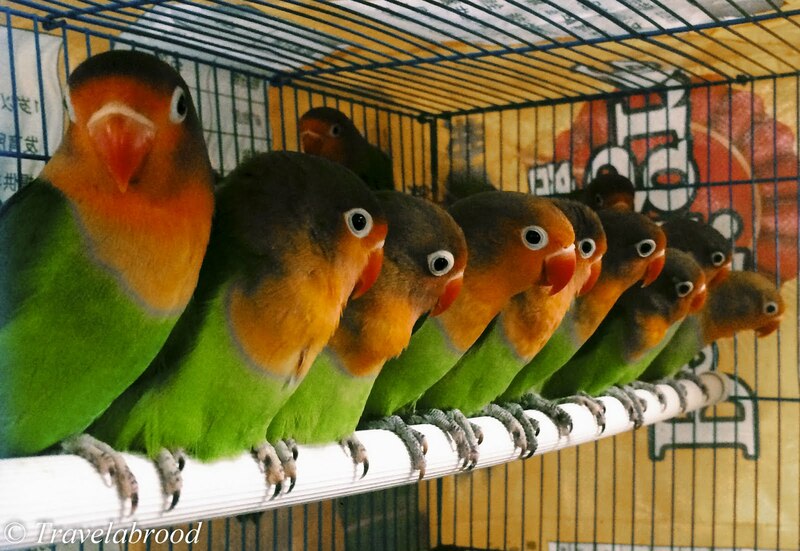 The Wan Shang Flower and Bird Market located at 417 Xizang Nan Lu is the largest in Shanghai and close to Xintiandi. The noise of all the crickets and birds is deafening. 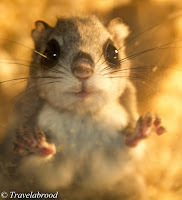 There are tank loads of fish and you'll also find squirrels, rabbits, dogs, cats, mice, hamsters and even ring-tailed possums. You can also purchase bags of live bugs to feed your feathered friend. Xintiandi (also referred to as the French Concession) is a pedestrian street, best known for Shikumen style housing. In order to understand the history of this type of residence visit the Shikumen Open House Museum. You can easily spend an afternoon in Xintiandi admiring the architecture and visiting the shops and cafes. Close to Xintiandi is the former residence of Zhou Enlai, the first Premier of the People's Republic of China and the Chinese revolutionary and father of modern China Sun Yat-sen.
Touristy, but a must and very, very good, Shanghai's Circus World is on at 7.30pm every night. The 90 minute show (with intermission) will have you on the edge of your seat with a smile from ear to ear. 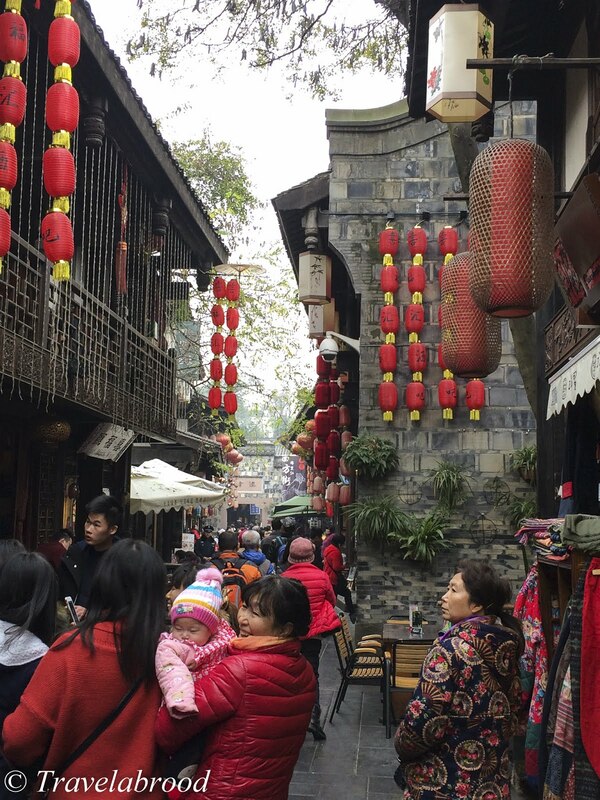 Tian Zi Fang is a bustling labyrinth of alleyways where you could spend all day. We had lunch at Il Bambino prior to getting lost in the crowds. I've mentioned in previous blogs, the ease of catching the hop-on, hop-off bus. The double decker bus stops at all the top tourist attractions and offers a commentary on the city. 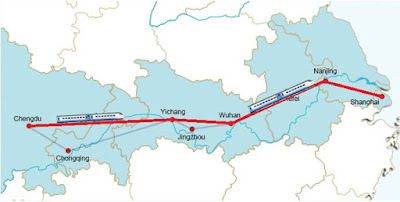 Shanghai Big Bus Tours has three routes covering Puxi, greater Puxi and Pudong. Tickets can be bought for 24 or 48 hours. Nanjing Road is the largest pedestrian, shopping street in Shanghai. Here you will find all the top recognisable brands, department stores, food markets and "rip-off" merchants. Nanjing Road extends from the People's Square down to the Bund where you will find the traditional high end hotels such as The Peninsula Shanghai and The Fairmont Peace Hotel. Both hotels are well worth a sticky-beak just to experience a little of Shanghai's past and maybe stay for lunch to admire the view. 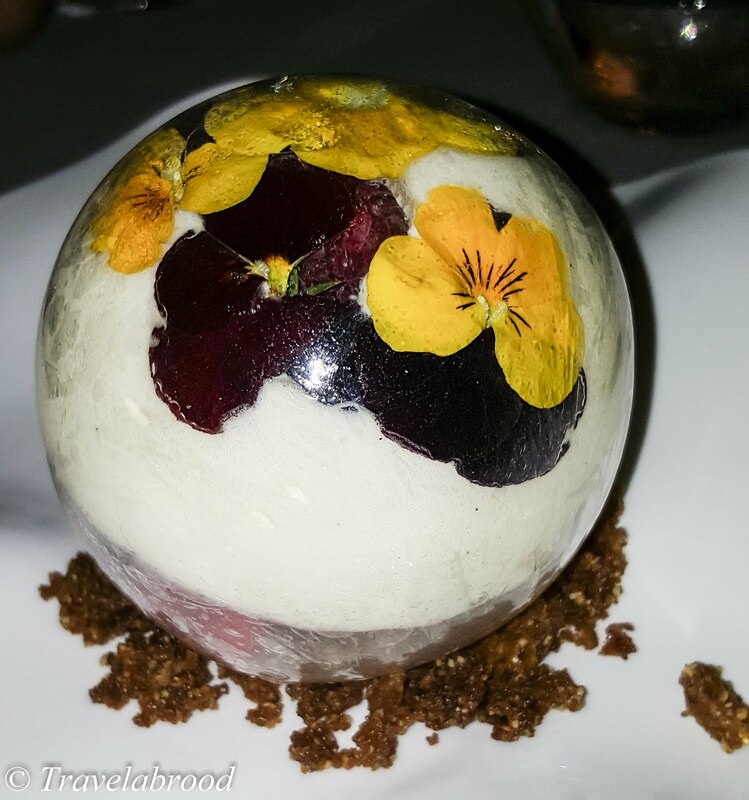 Sir Elly's at The Peninsula offers a set price, two-course lunch which we thoroughly enjoyed. 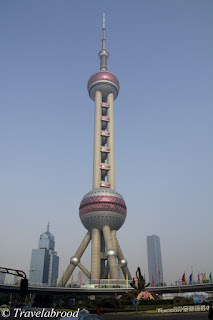 For our last couple of nights in Shanghai, we moved hotels to the IFC Residence on the Pudong side of the bund. Pudong is now administered as the New Area and houses Shanghai's Stock Exchange, the Pearl Tower, the Jin Mao Tower and the Shanghai World Financial Centre. The atmosphere on this side of the bund is very different to that of Puxi especially as it was a weekend when we stayed in Pudong. Ideally we should have started our Shanghai journey on this side of the bund as under the Pearl Tower is the Shanghai Urban History and Development Museum. Wow... this would have to be one of the best museums I've ever been to. It is an interactive look at Shanghai with wax figures, replica's and streetscapes. The exhibition put Shanghai into perspective, so when we returned to the hop-on, hop-off bus for our continued tour we had a better understanding of Shanghai's history. Intended to draw the population away from central Shanghai, Thames Town was developed Songjian District. 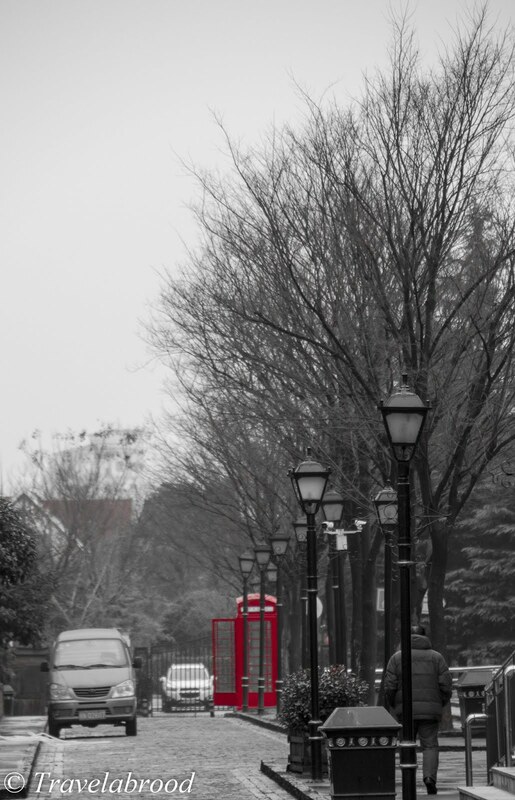 A hours drive from Shanghai, it is a complete replica of an British town with cobbled streets, Tudor housing, corner shops, pubs and the iconic red phone booths. It was typical English weather the day we visited, cold, overcast and drizzling, however it didn't stop young brides and grooms having their wedding photos taken. A 90 minute drive northwest of Shanghai is Suzhou. 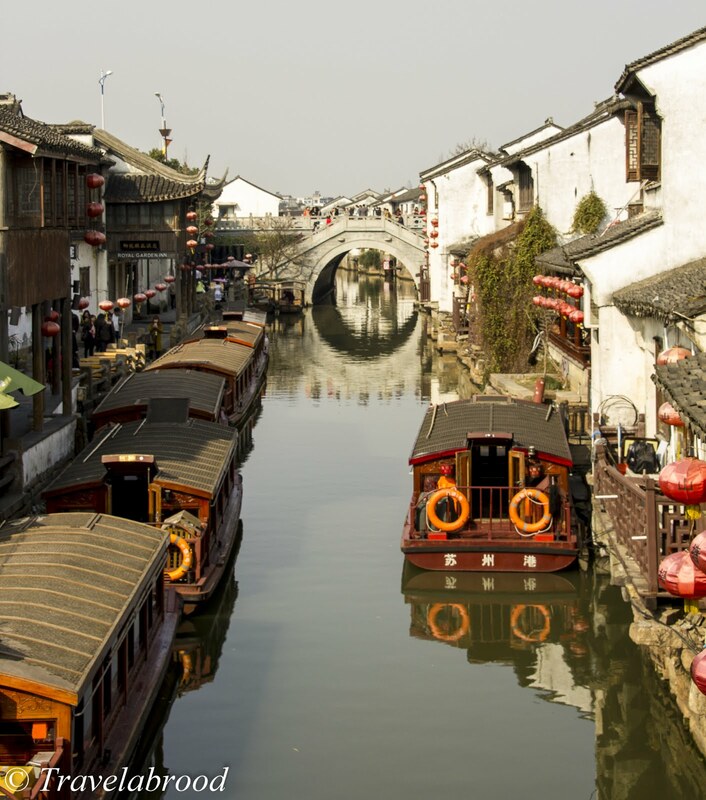 Shang Tang Jie is a very pretty canal lined with shops and restaurants. We had lunch at Blossom Hill Cafe/Noodle House. Blossom Hill also has accommodation. 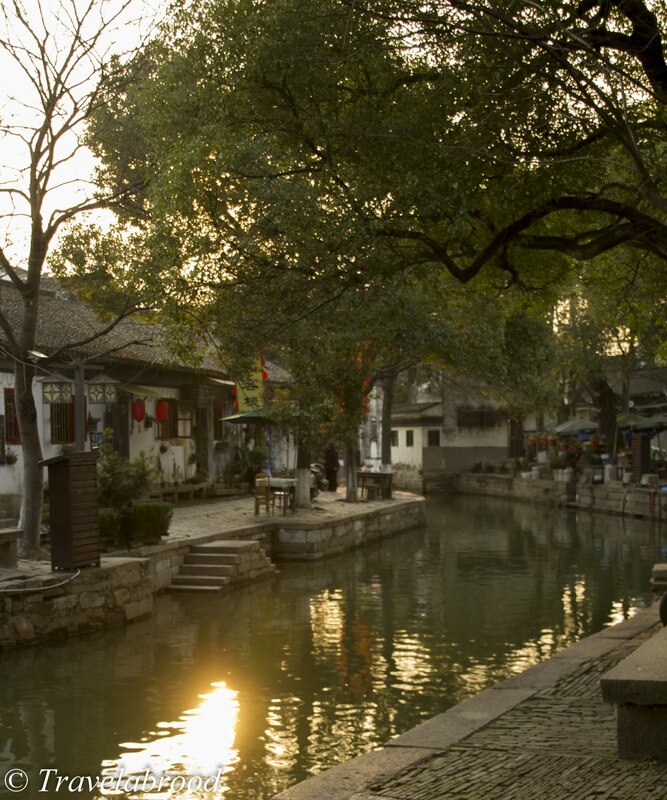 Don't leave Suzhou without visiting the very picturesque scenic area of Tiger Hill. At the top of the hill, the Pogoda is the oldest in the area dating back to the Northern Song Dynasty. Shanghai is surrounded by many water towns which are popular with tourists looking to get away from the hustle and bustle of the city. 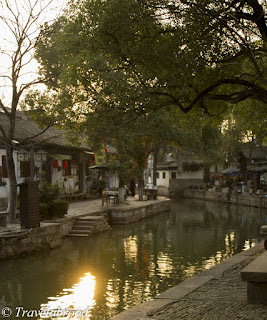 On our return from Suzhou we visited the 1000 year old town of Tongli. Touted as the "Venice of the East" almost every residence is built on the canal. Quieter than the other water towns, it was a very peaceful place to have a walk and visit the Pearl Pagoda amongst other attractions. The end of our trip and what a wonderful time we had experiencing the diversity of China. The fast trains were a fantastic way to travel and we will definitely look at doing a similar trip along the Yellow River in the north of China.